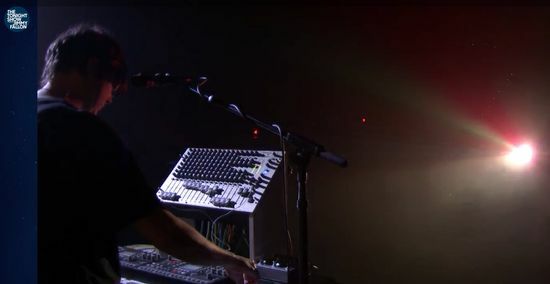 Below is a video of Panda Bear performing the song “Boys Latin” on The Tonight Show with Jimmy Fallon. If you look close in the beginning of the video you can see he’s rocking two Elektron Octatracks. This song is from his new album Panda Bear Meets the Grim Reaper. More on Panda Bear here https://www.facebook.com/PandaBearMusic and here http://www.pbvsgr.com/.